I love this time of year. After Christmas and Thanksgiving, Halloween is the best holiday ever. I mean you can’t beat Christmas…it’s a mixture of Christmas and Thanksgiving. You get a great meal and get presents. Thanksgiving, I love the feeling you have when you’re stuffed and really tired from the turkey and you are watching football with your family. But on to what this blog is about. I’m here to help you decide what to watch with your friends. Now I’m going to skip the classics like A Nightmare on Elm Street, Halloween and Texas Chainsaw Massacre. You have to watch those because they are the granddaddy’s of horror. This is an underrated movie. It’s a classic ghost story with great acting. It’s about a wife seeing a ghost of a woman who finds out her husband is involved somehow…but I’m not going to ruin that story. It manages to be scary without being bloody and that’s an accomplishment from a horror movie. There are jumps, suspense and thrills. The last 10 minutes are pretty intense. Harrison Ford and Michelle Pheiffer are great in it. Check it out. Now, I’ll understand if you don’t want to read my blogs anymore because I said this movie. This movie is not for the faint of heart. It’s pretty messed up. But it’s also surprising and I love how crazy it gets towards the end. What surprised me is how unpredictable it was. The person I thought was going to die first ended up killing half the mutants. If you haven’t seen this movie, it’s about a family stranded in the desert being stalked by mutated, deformed miners. A fight scene between a mutant and one of the family members is the best part. This movie totally caught me by surprise. I thought this was going to be stupid but it wasn’t at all. It was freaky, suspenseful and smart. It’s about a couple who stays at a motel after their car breaks down in the middle of nowhere (it’s the only cliché in the movie, I promise). They find out that the room they are staying in had people murdered in it and filmed. The murderers are the motel workers. The couple tries everything and the workers are always 2 steps ahead of them. Luke Wilson does a great job. Vacancy is a brisk 80 minutes and it gets moving right away. When I first saw this movie, it scared the shadooby out of me. (Shadooby is my non-crude way of saying poop.) Anyway, let’s just say that after I saw this movie, I stayed at my friends house. I was 18. I still can’t sleep with my foot hanging out of my sheets when I go to bed. Some people said this wasn’t scary. They didn’t believe what they saw. You have to tell yourself that everything you see is real and then you will be scared. The budget is so low that it seems like you’re watching a documentary. You never see the ghost and there are no special effects. The scariest thing about this movie is the unknown. You don’t know what the ghost looks like. After you see this movie, try to be brave enough to see the second one. It’s the scariest movie I’ve ever seen. Paranormal Activity serves up genuine scares. This is the best horror movie I have seen in awhile. I loved this movie. This movie tells the story of a plane crash in a lake in a small Iowan town which releases toxins into the water system, making its residents crazy people. They’re not full on zombies; they’re just infected and turn really violent. At first, it’s a little slow but the director builds up the suspense. Once it gets going, it gets incredibly intense and doesn’t let up until the closing credits roll. You will never look at a baby’s room the same and you will never want to get a car wash. The movie is very tensely shot. You get quick shots of the infected just standing there, staring at its victim. And another good thing about this movie is that it doesn’t go over the top in blood. I’ll warn you…the ending is depressing. Watch this movie and you’ll have a great Halloween. I’m going to have a “Jerry Springer last thought.” The horror genre is dying. It’s obvious. I have some tips to save it. 1.) Kill the clichés. These movies always have a big breasted blonde woman doing something stupid like running up the stairs instead of out the door and getting killed because of it. Make her fight back or run out the door. 2.) Stop killing the black man and dogs. Every horror movie that has a black dude and a dog, results in them dying it before it ends. The lone excuse is if your name is Ice Cube or LL Cool J. 3.) It’s 2010, technology is good. Phones should not have signal problems and cars should be able to start when needed. 4.) Overkill. Now if one movie successfully resurrects a topic, it doesn’t mean you have to try it better. Paranormal Activity has ghosts, SAW has torture and The Ring has creepy Asian girls. Don’t overkill. Find another topic to resurrect. 5.) Be smart. 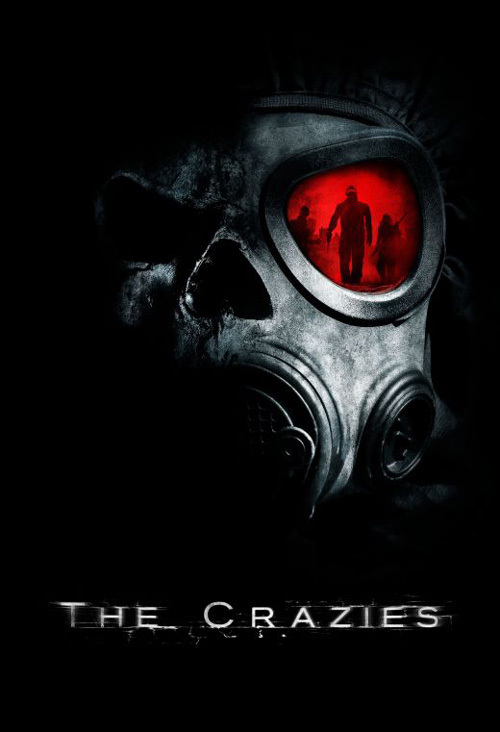 The reason The Crazies and What Lies Beneath are so good is because they are smart. People don’t follow clichés and make stupid mistakes. They’re smart and actually try to fight for their lives and kill the “bad guy.” Horror directors, listen up! Tags: A Nightmare on Elm Street, Freddy vs. Jason, Halloween, Horror Movies, Paranormal Activity, Scary Movies, Texas Chainsaw Massacre, The Crazies, The Hills Have Eyes, Vacancy, What Lies Beneath. Bookmark the permalink. nice a day Thoughts Out Loud , i look your blog , be a nice blog and greatly. Good for everyone. useful Sneak Peek and Freddy vs. Jason content. i going to plan to read and comment your website.